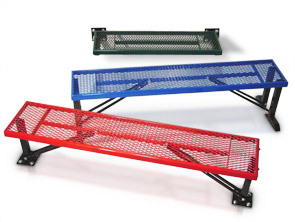 These steel mesh benches are very durable and versatile. Available in surface mount, portable, and wall mount, it's easy to find one to fit your facility. Surface mount and portable benches are 6' in length, while the wall mount bench is 48". All benches feature an expanded steel seat that is powder-coated for protection. 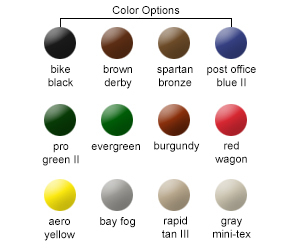 The bench seat and frame are available in any of the colors options shown below.